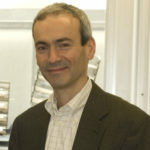 Marco Avellaneda, PhD, University of Minnesota 1985, is Professor of Mathematics at the Courant Institute of Mathematical Sciences, New York University. He has been active in research and teaching in Finance since the 1990s. He held roles in Morgan Stanley (VP of research, Derivatives Products Group), Gargoyle Strategic Investments (quantitative options strategist), Capital Fund Management (head of volatility trading) and Galleon (PM in statistical arbitrage trading). Since 2007, Dr Avellaneda has been associated with Finance Concepts, a risk-management consultancy. He currently teaches Derivative Securities and Risk and Portfolio Management at New York University. Ravi is a Partner at WFA Global Investments. In addition to quantitative trading across multiple asset classes, he is responsible for mentoring and developing innovative early stage firms utilizing his global investment management experience. Particularly, he is passionate about new expert advisory technologies and most recently, he successfully and strategically seed funded and developed diverse innovative companies in the Technology and Finance sectors. 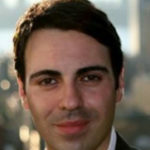 Prior to this, he worked as a Senior Managing Director at UBS focused on quantitative trading and analytics, after working at AIG in various senior roles for more than a decade. Early in his career, he worked at Sun Life (TMG); collaborated at Morgan Stanley; and was exposed to Computational Finance at CMU, while a post-doctoral fellow. Ravi has an Undergraduate degree from IIT-Kanpur and a PhD in Statistical Physics. He is also an alumnus of NYU Stern’s TRIUM program and is a CFA charter holder. 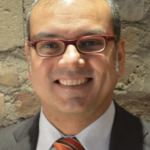 Satyajit Bose is Associate Professor of Practice at Columbia University, where he teaches sustainable investing, cost benefit analysis and mathematics and serves as Associate Director of the Program in Sustainability Management. Satyajit is also Co-Chair of the University Seminar in Sustainable Finance, a forum for faculty and finance practitioners to discuss and research methods to use the financial system, with the help of technology, innovative design and disruptive change, to mobilize capital for sustainable development and widespread beneficial impact. His current research interests include the optimal use of a broad array of environmental performance metrics for long horizon investment choices. His book (with co-authors Dong Guo and Anne Simpson) on the sustainable financial ecosystem is forthcoming from Palgrave Macmillan in late 2018. Satyajit has extensive expertise in investment banking, asset management, financial restructuring and automated weather risk management. Among other positions, he was a mergers & acquisitions banker, directed quantitative trading strategies at a convertible arbitrage hedge fund managing $1.5 billion in assets and developed machine learning algorithms to optimize weather-based decision tools. Satyajit Bose holds a B.A. and a Ph.D. in economics from Columbia University. 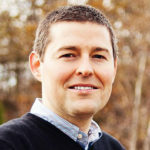 Gene Ekster, CFA is the co-founder and CEO of Alternative Data Group. Previously he has worked in the alternative data industry on the buy-side as head of R&D at Point72 Asset Management as well as the independent research side as a Director of Data Product, 1010Data and Senior Analyst at Majestic Research. He holds a degree in Artificial Intelligence and Cognitive Science from UC Berkeley and an MBA from Cornell University. Paul Glasserman is the Jack R. Anderson Professor of Business at Columbia Business School, where his current research interests include financial stability, risk management, and quantitative trading strategies. Since 2011, he has also worked part time with the Office of Financial Research, an independent agency housed within the U.S. Treasury department. Paul is a past recipient of Risk’s Quant of the Year Award, the Erlang Prize in Applied Probability, and the Lanchester Prize for his book on Monte Carlo Methods in Financial Engineering. Paul currently chairs the Financial and Business Analytics center within Columbia’s Data Science Institute, and he leads the Risk Management Initiative within Columbia Business School’s Program for Financial Studies. 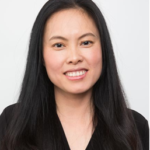 Lisa Huang, Ph.D., is the Director of Investing at Betterment. In her role at Betterment, she heads a team responsible for portfolio optimization, investment fund selection, risk modeling and trading strategies design. She holds a degree in mathematics and biochemistry from UCLA, and a Ph.D. in theoretical physics from Harvard University. Prior to Betterment, Dr. Huang was a quantitative strategist at Goldman Sachs, leading research collaborations and building models for fixed income strategies. Dr. Marcos López de Prado is the chief executive officer of True Positive Technologies. 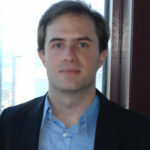 He founded Guggenheim Partners’ Quantitative Investment Strategies (QIS) business, where he developed high-capacity machine learning (ML) strategies that consistently delivered superior risk-adjusted returns.. After managing up to $13 billion in assets, Marcos acquired QIS and successfully spun-out that business from Guggenheim in 2018. Since 2010, Marcos has been a research fellow at Lawrence Berkeley National Laboratory (U.S. Department of Energy, Office of Science). One of the top-10 most read authors in finance (SSRN’s rankings), he has published dozens of scientific articles on ML and supercomputing in the leading academic journals, and he holds multiple international patent applications on algorithmic trading. Marcos earned a PhD in Financial Economics (2003), a second PhD in Mathematical Finance (2011) from Universidad Complutense de Madrid, and is a recipient of Spain’s National Award for Academic Excellence (1999). He completed his post-doctoral research at Harvard University and Cornell University, where he teaches a Financial ML course at the School of Engineering. Marcos has an Erdős #2 and an Einstein #4 according to the American Mathematical Society. Gordon Ritter completed his PhD in mathematical physics at Harvard Uni- versity in 2007, where his published work ranged across the fields of quantum computation, quantum field theory, differential geometry and abstract algebra. Prior to Harvard he earned his Bachelor’s degree with honours in Mathematics from the University of Chicago. Gordon is currently a senior portfolio manager at GSA Capital, and leader of a team trading a range of systematic absolute re- turn strategies across geographies and asset classes. GSA Capital has won the Equity Market Neutral & Quantitative Strategies category at the Eurohedge awards four times, with numerous other awards including in the long-term per- formance category. Prior to joining GSA, Gordon was a Vice President of High- bridge Capital and a core member of the firm’s statistical arbitrage group, which although less than 20 people, was responsible for billions in profit and trillions of dollars of trades across equities, futures and options with low correlation to traditional asset classes. Concurrently with his positions in industry, Gordon teaches courses including portfolio management, econometrics, continuous-time finance, and market microstructure in the Department of Statistics at Rutgers University, and also in the MFE programs at Baruch College (CUNY) and New York University (both ranked in the top 5 MFE programs). 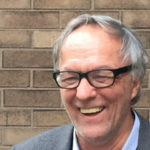 Gordon has published original work in top practitioner journals including Risk, and academic journals including European Journal of Operational Research. He is a sought- after speaker at major industry conferences. Agnes Tourin grew up in the suburbs of Paris and graduated from the Engineering school MinesParisTech. In 1992, she received her Ph.D in mathematics, from University Paris-Dauphine. 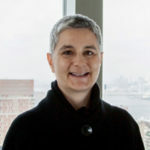 Subsequently, she held a tenured position in Paris, followed by positions at University of Toronto, McMaster University, and a visiting position at the Fields Institute. After moving to New York in 2005, and staying at home to care for her two children for 5 years, she got offered her current position at NYU Tandon, where she teaches mathematics for financial engineering. In her research, she applies stochastic control techniques to algorithmic trading.